Once Y.B.Chawan, who was then Chairman of Finance Commission came to Hyderbad. N.T.Rama Rao and Nadendla Bhaskara Rao gave their opinions to Y.B.Chawan regarding finance of the state. Y.B.Chawan understood that, there are differences of opinions between NTR and Nadendla and told that to then Prime Minister Indira Gandhi. Central Finance Minister Pranab Mukherjee came to Hyderabad and asked Nadendla to meet him in his friend's house. Nadendla talked to Pranab Mukherjee as Finance Minister. Pranab Mukherjee told Nadendla that, he (Nadendla) has the majority in the Assembly. After some time, in the same house Kotla Vijaya Bhaskar Reddy told him that, Nadendla was the leader of Kammas (Kamma Caste), and not N.T.Rama Rao. He also told him that, he was the only hope. Once Nadendla went Delhi to get the relief fund for drought. But, N.T.Rama Rao did not like to ask center for anything. Nadendla met Pranab Mukherjee, and Pranab was ready to sanction relief fund. He asked Nadendla to meet the Prime Minister. Indira Gandhi came to know about the differences in Telugu Desam party from her intelligence reports. She was unsatisfied with N.T.Rama Rao, since he scolded her and walked out from the National Development Council with other Chief Ministers. She was not happy with the behaviour of NTR. Indira Gandhi told Nadendla that, he (Nadendla) started a regional political party, since he was not made as the Chief Minister in the Congress government. She asked him, why he made NTR as C.M. instead of he himself becoming C.M. Nadendla told her that, basically he was a Congress man, and likes Nehru and Indira Gandhi a lot. To develop the state, he started a regional party. He wanted to develop the state with the help of the union government. If the government is not ruled properly, then he would not support NTR. Indira Gandhi told him to be in touch with Moopanar. Wherever he wants to meet Moopanar, she would send him there. She also clearly told him to do not disclose these to anyone and specifically to P.V.Narasimha Rao. N.T.Rama Rao sent an order from America to the Chief Secretary for flag hoisting by the Collectors in their respective districts. Nadendla did not like that, and he sent a letter to N.T.Rama Rao that, it should be done by the Ministers and not by the Collectors. When N.T.Rama Rao came to Mumbai, Chandrababu and his supporters went Mumbai and received him. From there itself, they started telling negatively about Nadendla. NTR did not know about the intricacies of these matters, and listened to Chandrababu for everything. He sent an order to the Governor to remove Nadendla from his Cabinet. One friend of Nadendla from Governor Bungalow informed Nadendla that, Governor got a letter to remove him from the Cabinet. Nadendla also sent his resignation to Governor. Governor got two letters, one was resignation of Nadendla from the Cabinet and second one was removing Nadendla from the Cabinet. Within one hour after the resignation of Nadendla, three more ministers and the Chief Whip resigned. That night, 90 MLAs came to Nadendla and told him that they are going to support him. All of them signed in support of him. Nadendla's signature was 91st. Chandrababu Naidu told NTR that, if Nadendla is removed from the cabinet, then there will not be more than 2-3 MLAs in support of him. But, after seeing 90 MLAs supporting him, NTR scolded and hated Chandrababu like anything. Nadendla heard that, Chandrababu went to New M.L.A.quarters to bring MLAs, and he was beaten there. Nadendla and his supporters met Governor Ramlal between 8.30 AM - 9 AM. They told him that, they are going to withdraw support to N.T.Rama Rao. NTR also asked Governor for an appointment, but, Governor did not give any appointment. Nadendla felt, he should have given an appointment to him. Had he given the appointment, he would have come to know that, there are not that many supporters to NTR, and Governor would not have asked Nadendla to prove his majority within a month. At that time, there was no act that prevents floor crossing. MLAs can move from any party to any other party. NTR sent a letter to Governor with the signatures of his supporters. All opposition parties are supporting Nadendla. After the Governor felt that, Nadendla had full support, he asked N.T.Rama Rao to resign. Nadendla told Governor that, he was not going after the Chief Minister post. If the opposition leader A.Madan Mohan was interested, he could become C.M., and Nadendla would support him externally. But, High Command was not interested in that. So, Governor asked Nadendla to form the government the next day. Nadendla Bhaskara Rao went to Raj Bhavan to take oath. At that time, Governor was giving interview to NTR and his associates. When the Governor was coming for oath ceremony, NTR obstructed him and did not allow even after the Governor asked. The Governor asked the Police Commissioner to arrest NTR. When Police Commissioner was arresting NTR, they took photos and got good publicity out of it. That police commissioner (Vijaya Rama Rao) later joined Telugu Desam Party and became Cabinet Minister. There was a delay because of NTR. By that time, Rahukalam started. The Governor asked Nadendla to take oath at that time. Nadendla was not interested in taking oath at that time. But, Governor insisted that, state must have a C.M. at all times. Since, there was no C.M. then, and he must take oath immediately. Both NTR and Nadendla believe in astrology. If they take oath at the time of Rahukalam, the government would automatically collapse. NTR wanted that only, and Nadendla did not have any other option other than taking oath at the time of Rahukalam. NTR took all the MLAs and MPs and went to the President, and presented everyone as MLAs. Then, he took all the MLAs went to Bangalore, and then to Mysore, and then to Nandi Hills. He took him to different places so that, Nadendla does not capture them. At the same time, all the opposition parties at the center supported NTR for their selfish reasons to bring down Indira Gandhi's government. Indira Gandhi recalled Governor Ramlal and made Shankar Dayal Sharma as the Governor. Nadendla says, Sharma got wrong feeding from the leaders of Telugu Desam Party, and he always acted with prejudice. Shankar Dayal Sharma asked Nadendla to make Bagareddy as the speaker. Eventhough Nadendla did want to make him as the speaker, he made him as the speaker. Kotla Vijaya Bhaskar Reddy and P.V.Narasimha Rao criticized Nadendla for listening to the Governor in the selection of the speaker. Speaker Bagareddy got a heart attack and left, and Nadendla made Sultan Salahuddin Owaisi as the speaker. To call for assembly, they need to give three days notice to the members. Governor had given one month notice to prove majority in the assembly. The one month period expired before the three days. So, Shankar Dayal Sharma asked Nadendla to resign for not proving the majority. Nadendla told Shankar Dayal Sharma that, many MLAs were captured by NTR. He asked to release all the MLAs and let the MLAs select the Chief Minister. NTR did not allow to move any resolution in the assembly. Even if Nadendla resigns, NTR should not be asked to form the government, since, the MLAs were captured by NTR. Nadendla asked the Governor to have President Rule for few months, and then let the MLAs select the Chief Minister. But, the Governor did not listen to him, and asked Nadendla to resign and NTR to form the government. Nadendla says, P.V.Narasimha Rao was the main reason for NTR to get back his power. P.V. sent N.G.Ranga, K.L.N.Prasad, Dr.Yalavarthi Nayudamma to Indira Gandhi, and told her that, NTR will not oppose her again and give back the power to him. But, at that time, K.L.N.Prasad acted like he was supporting Nadendla Bhaskara Rao. After NTR became Chief Minister he went to Delhi and met Indira Gandhi and told her that, he would not oppose her again. NTR wanted to prove that, he got the power by his own image, and not because of Nadendla Bhaskara Rao. He met the Governor Shankar Dayal Sharma and asked to dissolve the assembly. Nadendla told Shankar Dayal that, he was ready to form the government with the opposition parties and Independents. But, Shankar Dayal did not listen to him and dissolved the assembly. After that, he told Nadendla that, Indira Gandhi and P.C.Alexander told him to dissolve the government, and he did not have any other option. Later on Ex-Home Minister of A.P., M.M.Hasheem asked Indira Gandhi, why she gave back power to NTR. Indira Gandhi told him that, it's all because of P.V.Narasimha Rao. He frightened her a lot. So, she could not do anything else. In 1991, when P.V.Narasimha Rao contested from Nandyala for Loksabha elections, NTR did not put any candidate against him. At that time, NTR told that, for the first time, a person from Andhra Pradesh is going to be the Prime Minister, and he did not want to create an obstacle in his path. But, Nadendla says, since P.V. supported him in 1984 to get back his power, he did not put the candidate in 1991, and not because of any other reason. From the book Naa Jeevitha Prasthanam (My Life Journey) by Nadendla Bhaskara Rao. "Commit all your crimes when Sachin is batting. They will go unnoticed for even the God is busy watching him" - A banner in Sydney. "Glad I'm not bowling him today." - Shane Warne after Sachin made 200. Shouldn’t RBI launch a 200 rupee note with Sachin’s pic on it. Per Capita Income and GDP by District Wise in A.P. TDP was formed on 1982 March 23rd, and N.T.Rama Rao took oath as the Chief Minister of Andhra Pradesh on 1983 January 9th. N.T.R. asked Nadendla Bhaskara Rao about the formation of Cabinet. Nadendla suggested that, Cabinet should have the following. Nadendla also told NTR that, he is not interested in joining the Cabinet. But, NTR insisted that, he does not know anything about the administration, and Nadendla must join the Cabinet, and asked for his favorite ministry, and Nadendla chose Finance. Nadendla also prepared the list of entire Cabinet after NTR asked for that. One day before the oath ceremony, Nara Chandrababu Naidu told NTR family members that, he would like to join Telugu Desam Party. After few days, he joined in TDP. When Chenna Reddy was the Chief Minister of A.P., the retirement age is increased from 55 to 58. Nadendla was one reason behind that. When NTR became C.M., he listened to some people, and decided to reduce the retirement age to 55. Because of that decision, those who had 3 years service had to leave from the services immediately. It effected many people, and they went to court. Finally, court ruled in favour of the employees and government had to pay their salaries for the remaining service. NTR cancelled all the Munasab and Karanam in Andhra, and Patel and Patwari in Telangana. By the cancellation of that, all kinds of official dynasty rules ended in A.P. Eventhough Nadendla criticized NTR for doing this, it was a very good step taken by NTR. There may be problems in implementation, but, overall it was a great step. NTR cancelled Sasana Mandali (Council). Because, he felt that it is not necessary. Nadendla says NTR was uncomfortable with the questions asked by the members of the council. NTR started oner quasi judicial organization, Dharma Maha Matra, to control the corrupted officials. Nadendla says, it was used to control the sincere officials who opposed NTR. In 1984, when Nadendla Bhaskara Rao introduced budget bill, NTR was not in assembly, eventhough he was the Chief Minister. He was in Secretariat at that time. Nadendla says, NTR does not like members appreciating Nadendla for his budget. That's why he did not come to the assembly. There was Mahanadu on 1984 May 27th in Visakhapatnam. At that time, NTR wanted to propose a resolution to cancel Governor system. But, Nadendla opposed it very seriously, and said, he is not going to support it. Then, NTR withdrew that resolution. The definitions that I meant. Boy - The person who is in discussion, and not known before. Known Boy - The person who is in discussion, but, the boy is known to the girl's family more than the other people in that situation. In the career of boy, if he has more than 2 weeks of gap between any two jobs, it means, the previous company had fired him and he took some time to find the new job. If the guy is working for a company, which does not come in news papers regularly (not like Satyam), then most probably, they would ask him to apply for big companies like Infosys, TCS, Wipro etc. It does not matter if the boy's company's revenue is more than the revenue of Infosys, TCS and Wipro put together. If the girl is working somewhere, they would not mind if she talks to her male colleagues for hours. But, they will have serious problems, if the boy talks to her more than few minutes. Few parents insist that, they have to be there when they talk first time. The girl can travel alone in buses and autos, and can closely sit next to unknown guys. But, she cannot sit at a distance of one feet from the boy, eventhough they have been talking for more than a month. The girl can go for a whole day trip with her male classmates/colleagues without any female friends. But, she cannot go anywhere with would be or known boy, even if she has complete control of whom all to invite with her from both the families. Till the engagement is over, girl's parents think that, the boy is not at all a match for them. They find atleast one thing in which girl's family is better than boy or boy's family. Even if the boy is earning huge salary, still if their total wealth is less than the girl's family, the girl's family feels that, the boy is not at their level. If their wealth is more than girl's wealth, and previously they were not as rich, then they say that, "Now, they are at our level. But, previously, they were no match at all". If nothing works out, then they say that, the boy is dark-complexioned. You cannot put any kind of conditions on girl. For example, if people in their community eats non-vegetarian, then the boy cannot put condition that girl should be a vegetarian. Atleast he should not say it in public. It is possible that, when the boy talks to girl (when nobody is around), he can ask her whether she is vegetarian or not. If she is a non-vegetarian, he can reject her. But, if he gives this reason while rejecting, then everybody will criticize him saying that, he has not told this before. If he tells before, there will be another kind of problems that he has to face. If the boy feels that, the reason should not reduce the confidence of the girl or her parents, then it is only his problem to come up with a valid reason. The boy cannot talk to girl for a long time to decide. He cannot dump all the information in less time (for ex, by giving in writing), otherwise girl would be bewildered. The parents of the girl may say that, since this is a life decision, so they have to be extremely careful. The boy is also trying the same. By having better communication, it would be better for both the boy and girl. The parents of the girl should give atleast the same respect that they give to a person who is lesser known than the boy. After marriage, if the boy's mother does the same thing as girl's parents, they will make hundreds of movies and serials on her. There is a sincere person, who tries his best to develop the organization. Unfortunately, he gets a manager whose aim is only destroying the organization. The manager always asks the employee to do corrupt activities. Since, the employee did not want to do that, he resists a lot for that. Within his capacity, he tries his best to save the organization. Because of that, the manager hates him and does everything to make the employee suffer. After some time, the manager moves out, and a new manager who is very sincere comes in his place. He sees all the corrupted activities done in the organization, and takes disciplinary action against the employee, because, legally/technically the employee is the one who has done everything, and the old manager was just an adviser. The new manager says that, he should have escalated the issue, and rejected the corrupt activities. Since, he had not done that, he has to face the disciplinary action. The net result is, the employee suffers twice for a single activity. One for being sincere in that activity, and another for being corrupt in the same activity. After Anjaiah, Bhavanam Venkatram became the Chief Minister of Andhra Pradesh. He also did not take Nadendla to the Cabinet. With all the political happenings in the state, Nadendla Bhaskara Rao wanted to start a new regional political party in A.P. Three more MLAs (Gadde Rattaiah, C.Narayana, Adeyya) joined with him. Nadendla resigned to his MLA post in the early 1982. But, other MLAs did not resign, since they felt why should they resign, when nothing has started. One day, Nadendla received a call from Daggubati Chenchuramayya (Father of Daggubati Venkateswara Rao). He told Nadendla that, his brother-in-law N.T.Rama Rao wanted to talk to him. Next day, N.T.Rama Rao came to his house, and talked for some time. When he was about to leave, Nadendla told NTR that, he heard that, NTR was trying for Rajya Sabha seat. If he is interested in politics, he could join the regional party that they are going to start. But, NTR said, he was not interested in joining politics before he completes 60 years. Once in a while, NTR used to call Nadendla and enquire about how many MLAs were with Nadendla, how much expenditure is he going to incur for elections etc. Nadendla used to say that, if NTR is interested in joining, he is welcome to join. Otherwise, why does he need this information? After some time, NTR decided to join the party. They have decide to inaugurate the party on March 29th, 1982 at 2.15 PM. An adhoc committee was formed with Nadendla as the president of the party. They were discussing about the name of the party. NTR said, since ours is Telugu Desam, (Country of Telugu people), so the party name also should be Telugu Desam. After that, Nadendla proposed NTR as the president of the party. Many people rejected that, still Nadendla insisted on that, because NTR has a great fan following. It would be useful for the party. They wanted to make an alliance with other opposition parties so that, votes of opposition parties would not be split. They met Puchchalapalli Sundaraiah and discussed about it. CPI asked for 120 seats, and CPM asked for 55 seats. People like Thathineni Prakasarao and A.B.K.Prasad talked to them and told them to take 55 seats for both the parties, and 240 seats should be allotted to TDP. But, they did not agree for it. At that time, one news paper publisher (Ramoji Rao), who was in communist party some time back, interfered into the alliance procedure and stopped the alliance. He wanted the party to contest without alliance. Menaka Gandhi started a party, Sanjay Vichar Manch and asked for 10 seats. But, TDP gave 5 seats to her. When Dr.Chennareddy was the Chief Minister, Ramoji Rao invited then Governor Sarada Mukherjee for the inauguration of his office in Vijayawada. Chennareddy felt unhappy, and asked Nadendla to enquire about his Chit funds company, since there were few rumours about that. Eventhough, Nadendla does not have that portfolio, still, he enquired about it and gave the information to Chennareddy. Ramoji Rao came to know about this, and since then he did not like Nadendla. At that time, NTR did not even have basic knowledge of politics. He thought, those who sit on the left side are leftists, and those who sit on right side are rightists. (When Chiranjeevi formed his party, when journalists asked whether he is leftist or rightist, he used to give reply that, he is neither leftist nor rightist, but, he is a humanist.). Daggubati Chenchuramaiah (Brother-in-law of NTR and Father of Daggubati Venkateswara Rao) was not interested in contesting in the elections, since he was not sure of the winning chances of the party. Because of his lack of confidence, even NTR also lost interest, and told Nadendla that he is not interested in contesting in the elections. Nadendla convinced him that, if he does not contest, then wrong signals would go, and since he is the president of the party, he must contest in the elections. Nadendla contested from Vemuru in Guntur district, and NTR contested from Gudivada and Tirupathi. Circus - Dangerous Feats - Should we Encourage or Not? Today, I went to an exhibition and there was a show. It was a feat with 4 cars and 5 bikes. I did not know what was it about and thought of seeing it once, and attended that. The place was in a spherical shape, there was a stand on the outer side of the top part of spherical shape for the audience to stand. When the show started, the bikes started and they were riding on the side of the spherical shape. i.e., the bike direction was parallel to the floor. (If a normal person drives the bike, it would be perpendicular to the floor.) When, they were driving the bike, the bike was at a height of 8-15 feet from the floor. 5 bikes simultaneously drove in that way. While driving, they had done all the feats like, taking out the hands from the bike, and holding the hands of the other riders. After some time, few bikes got down, and they had taken cars and drove in the same way. While driving, the car drivers also had done some feats, and one bike rider put his top part of the body on the front side of the car and drove. Overall, it was a great show. But, I don't want to attend that kind of shows again, and I am going to discourage whoever is planning to attend that kind of shows. They were driving in very unsafe conditions. They were not wearing helmets, and the car drivers did not have seat belts. (If they are doing feats while driving the car, how can they wear seat belts?). There are no medical facilities in case of any emergency. Eventhough, there is a big private hospital near by, I don't think any of them or the organizers can pay the medical fees in that private hospital. One single small mistake can take their life away. If many people attend this kind of shows, then it would encourage them, and they would do this kind of things more frequently. By that, they would put their life at risk. I don't want to encourage this. Yesterday, one person that I know of met with an accident, and he is in ICU in unconsciousness state. Had he wore seat belt, he would have escaped with minor injuries. That was another reason, why I strongly wanted to discourage these dangerous feats. Please wear Helmets and Seat belts (even if you are sitting in back seat), and discourage all the dangerous feats. Because of Emergency, Congress party lost badly in the elections in 1977. But, in Andhra Pradesh, it won 41 seats out of 42. The only one that it lost was in Nandyal, and that seat was won by Ex-President of India, Neelam Sanjeeva Reddy from Janatha Party (He joined Janatha party in 1975). Then President of Congress Party, Kaasu Brahmananda Reddy expelled Indira Gandhi from Congress Party citing the reasons that, she was the main reason for the loss in the elections. Then, Indira Gandhi formed Congress (I). At the same time, Marri Chenna Reddy was thinking of his political future, Whether to start a new regional party or continue with Congress party etc. Nadendla Bhaskara Rao is close to Marri Chenna Reddy, and he insisted that, they should join with Indira Gandhi. Finally, they joined with Indira Gandhi. In 1978 March, General Elections for A.P. Assembly were conducted. There were three main parties in that elections, Congress, Congress (I) and Janatha Party. While they were selecting the candidates for the general elections, Paturi Rajagopala Naidu wanted 4 seats for kamma caste in Chittoor district, and brought 4 people. Marri Chenna Reddy asked Nadendla Bhaskara Rao for background verification of those. When Nadendla enquired about them, he got positive response for three and not for one. The only positive feedback that Nadendla got for the last person was, he acts on behalf of Kamma group in Tirupathi University. He was ready to spend Rs.5000 for elections. Marri Chenna Reddy thought, why not give seat to this person, and he gave Chandragiri seat to him. That person is none other than the longest served C.M. of A.P., Nara Chandra Babu Naidu. There were not that many leaders to support Congress (I) in Krishna district. Chenna Reddy took that as a challenge and he asked Nadendla Bhaskara Rao to contest from Vijayawada - 2 constituency. It would have been easy for Nadendla to contest from Tenali, Duggirala or Vemuru. But, for party, he contested from Vijayawada - 2 and won with a majority of 3114 votes by defeating Bayana Appa Rao of Janatha Party. Before the elections, Indira Gandhi met Kanchi Mahaswamy at Madanapalli. She asked him the symbol for his party. He blessed her with his right hand, and she took the hand as her party symbol. In the elections, Congress(I) won with 165 seats, and Chenna Reddy became the Chief Minister. Eventhough, few others wanted to become Chief Minister, still Nadendla and others supported Chenna Reddy, and he took oath on 1978 March 6th. After that many people tried to influence Chenna Reddy to not make Nadendla as a Minister. They were partially successful and Nadendla became State Minister instead of Cabinet Minister. Nadendla took oath as State Minister on March 10th. After 4-5 months, Chenna Reddy made Nadendla as a Cabinet Minister. Chenna Reddy wanted to have more M.L.A.s in Congress(I), and he asked Nadendla (Minister of Legislative Affairs) to bring more M.L.A.s to the party. From Kadapa district, M.L.A.s like Siva Reddy, Dr.Ravindra Reddy joined Congress (I). Another M.L.A. of Kadapa district wanted to join Congress(I), but Chenna Reddy was not interested in taking him. After some time, Chenna Reddy took him to his party. That M.L.A. is none other than, Y.S.Raja Sekhara Reddy, the only Congress C.M. served for full assembly term in A.P. It is said that, even Y.S.R. also tried to take M.L.A.s of other parties after he won the elections in 2009. Indira Gandhi came to A.P. once for meetings at Nagarjuna Sagar. At that time, Nadendla told her that, there was one astrologer who is saying that Indira Gandhi would become P.M. again. If she is interested, he was ready to bring him. Eventhough she did not believe, and did not like it, still she asked him to bring. The astrologer said, she would become P.M. again, and would be imprisoned for 3 days before, and her elder son dies in plane accident. He also said few more things about the fall of the government. Finally, the government fell, and Indira Gandhi was imprisoned for 8 days. Later on, her elder son died in plane accident. Once Nadendla went to Delhi with Chenna Reddy. Sanjay Gandhi (S/O Indira Gandhi) saw him, and took him to his office. Chenna Reddy was unsatisfied for that, and since then, Chenna Reddy stopped believing Nadendla. Nadendla explained what happened at the center during that time, most of them is not correct. The following is mentioned in the book. When Morarji Desai's Government fell, everyone thought Neelam Sanjeeva Reddy would invite Jagjeevan Ram, but, he inivited Charan Singh to form the government. There were rumours that Charan Singh would come to Indira Gandhi to ask for the support. But, due to ego and self respect, he did not ask Indira Gandhi for support. Charan Singh could not face the vote of confidence and elections were conducted. What happened was, After the fall of Morarji Desai's government, Indira Gandhi told Charan Singh that, she would support him in forming the government. With that support, Charan Singh approached Neelam Sanjeeva Reddy, and formed the government. One day before the parliament session, Indira Gandhi told Charan Singh that she would not support him. Charan Singh did not have any other option other than resigning, and he became the only Prime Minister who did not face Parliament even for one day. Later on Jagjeevan Ram approached President that he can form the government. Significant of Janatha Party (including all of Jana Sangh, Present B.J.P.) and M.G.R. was ready to support him, and he has majority support. But, Sanjeeva Reddy did not like it, and called for the elections. That caused disappointment of many, and they wanted to put impeachment on Sanjeeva Reddy, but later on, they dropped that idea. That was the only case in the history of india, where there was proposal on impeachment for the president. Once Chenna Reddy asked to vacate quarters of Non-M.L.A.s. Nadendla did not know about whom Chenna Reddy said this. Nadendla vacated everyone including P.V.Narasimha Rao. He says, because of that, P.V.Narasimha Rao does not like him, and he took revenge at later point of time. After some time, Indira Gandhi decided to make Anjaiah as the C.M. of A.P. For that, Nadendla says the following in his own words. There is no comparison between Chenna Reddy and Anjaiah. Anjaiah does not know what qualifications he needs to have to become C.M. People of the state criticized Anjaiah's government as unqualified government. Even common man made fun of Anjaiah. There were three reasons to make Anjaiah as C.M. First one was, he was a devotee of Sanjay Gandhi. If Anjaiah becomes C.M., Sanjay Gandhi's soul would rest in peace. Second reason was, he belongs to B.C. Third reason was, for six more months, Telangana leader can be C.M. After he became C.M., he thrown one bomb saying that, he was not B.C. His full name was Tanguturi Krishna Reddy. Indira Gandhi disappointed after that. P.V.Narasimha Rao had significant role in making Anjaiah as C.M. Eventhough Anjaiah did not want to take Nadendla in the Cabinet, High command ordered him to take it to the Cabinet. He gave ministries to everyone who asked for it, and slowly the size of the ministry became 61. Then, high command ordered to reduce the size, he reduced it to 41. Even within 41, he did not like to include Nadendla. Still, he had to include because of high command. After 6 months, one day suddenly Anjaiah asked Nadendla to resign from the Cabinet. Nadendla resigned, and he came to know the reasons later. One MLA of Krishna district has filed a case against Anjaiah by doing forgery of a villager. When the high court is about to dismiss the petition for having no valid evidence, the lawyer of this MLA asked for one day extension. The same day night, that MLA went to Anjaiah and told him that, this case was filed by Nadendla. He also advised to talk to the judge to dismiss the petition. Finally, the case was dismissed. That was one reason for Anjaiah to remove Nadendla from the Cabinet. Second reason was, an astrologer told Anjaiah that, soon, a fair person from Guntur district will become Chief Minister. Because of those reasons, Anjaiah removed Nadendla from his Cabinet. After that, Nadendla went and talked to Indira Gandhi. 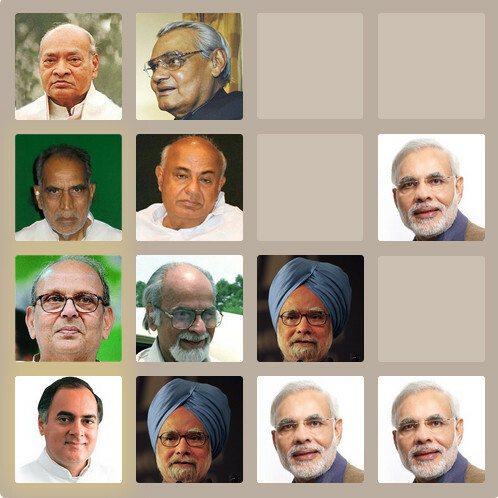 Indira Gandhi was surprised on the fact that, Nadendla was removed from the Cabinet. She asked to remove the Home Minister Prabhakara Reddy. But, he removed Nadendla. There were other instances, where he became a headache for the high command. High command decided to change the C.M., and made Bhavanam Venkatram as the C.M. After few months, Indira Gandhi was disappointed with him also and made Kotla Vijaya Bhaskara Reddy as the fourth C.M. in that term. Nadendla Bhaskara Rao is the Ex-Chief Minister of Andhra Pradesh. He holds the dubious distinction of serving the shortest term (31 days) as the Chief Minister of Andhra Pradesh. He wrote a book Naa Jeevitha Prasthanam (My Life Journey) about his life. Nadendla Bhaskara Rao was born on 1935 June 23rd at Guntur. His parents are Pichchaiah and Venkayamma. His native place is Donepudi, near Tenali in Guntur district. Potti Sreeramulu took fast-unto-death to form a separate state for telugu speaking people, and he died on 16th December 1952. Because of him, Nehru formed Andhra State on 1953 October 1st. Then, Telangana Chief Minister Burgula Rama Krishna Rao and many other leaders of Andhra State wanted to have Visalandhra (Single state for all telugu speaking people). Burgula Rama Krishna Rao was ready to sacrifice his Chief Minister post. After the efforts of many leaders, finally Andhra Pradesh was formed on 1956 November 1st. Neelam Sanjeeva Reddy became the first Chief Minister of Andhra Pradesh. At the time of death of Potti Sreeramulu, Nadendla was studying in school, and he was a school leader. He made all the students to boycott the college and exams. He also criticized Neelam Sanjeeva Reddy for not giving Rajya Sabha seat to Burgula Rama Krishna Rao. Had he given Rajya Sabha Seat, he would have become Home Minister in Nehru's cabinet. Because of that, he had to go to Kerala as a Governor. In 1968, Telangana Agitation has increased and they started demanding for separate state to Telangana. At that time, Kasu Brahmananda Reddy was the Chief Minister of A.P. (Kasu Brahmananda Reddy was famous for expelling Indira Gandhi from Congress Party, and Indira Gandhi later formed Congress(I)). Many people died during that time because of Telangana agitation. Indira Gandhi had no other option other than removing Kasu Brahmananda Reddy. She made P.V.Narasimha Rao as the Chief Minister of A.P. Due to Mulki Rule, Coastal Andhra people started Pratyeka Andhra (Special Andhra) agitation, and Ministers are separated into two. (Mulki Rule says, all things being equal, the local person should get more preference). Ministers Kakani Venkata Rathnam, B.V.Subba Reddy, P.Basi Reddy, Battina Subbarao etc., are on the side of Pratyeka Andhra. One day, Kakani Venkata Ratnam died suddenly at night 12'O Clock. Nadendla Bhaskar Rao came to know about it, and went to P.V.Narasimha Rao's house personally, and asked him to go to Vijayawada and pay homage to Kakani Venkata Ratnam. But, P.V.Narasimha Rao rejected that, and he did not even allow other ministers to go. At that time, President of India was V.V.Giri. V.V.Giri told Indira Gandhi that, even if a minister dies, and if C.M. does not go, what can he do for the state, and forced Indira Gandhi to dismiss him and bring President's rule. Finally, P.V.Narasimha Rao was dismissed and President's Rule came. That was the only incident of President's Rule in the history of Andhra Pradesh/Andhra State/Hyderabad State.